We’re living in an age where even the smallest appliances have internet connectivity. While it results in some pretty amazing things, like being able to change the brightness and color of any lightbulb in your house just by using your phone, it also means your home or business has become a playground for hackers. If you’re not already up on how to protect yourself from cyber criminals, then you need to get to reading because your computer is not the only avenue a hacker can take to get to your data anymore. 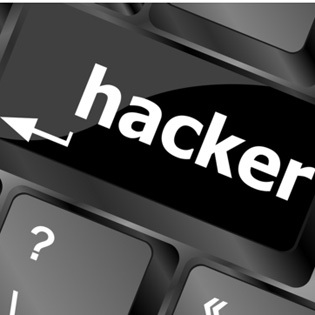 Here are three items you use every day that can surprisingly be hacked! By now you’ve seen those digital home assistants that people place in their homes or businesses that can remotely do small tasks. They can dim the lights, or turn on the TV, and they can also set the thermostat. Those hubs are connected to the internet, and unfortunately like anything connected to the Internet they can be hacked. According to CNN, hackers were able to locate a flaw in one of these hubs and were able to crank up the thermostat in their poor victim’s house. Just another reminder that sometimes hackers aren’t even after your data, they just want to be cruel! This one comes from Network World, and it shares the story of how hackers can actually use your fridge to get your email information. Sounds wacky, but it’s actually pretty simple. This particular smart refrigerator syncs up with the owner’s Gmail Calendar to use in its display. To get this to work, the owner has to plug in their email information, but since the device was not properly secure there was an opportunity for hackers lurking in the network to see the user name and password being used. While it sounds impossible to hack a fridge in the first place, just remember that the cyber criminals are not hacking just the fridge. They are accessing the network the fridge is connected to, and from there they are stealing their victim’s email credentials. This is a scary one. Dating back to as far as 2013, it’s been reported on that cars have been able to be hacked so severely that their steering and breaks can be compromised. Cars have only become more dependent on computers and the internet since, and with the advent of self-driving cars in the near future automobile hacking will surely become a serious epidemic. This affects any car manufacturer, and it’s gotten so bad that even the FBI had to issue warnings about over-the-internet attacks on cars and trucks. How do you protect your car from cyber criminals? Well unfortunately that’s mostly up to how seriously the manufacturer takes the threat, but it’s a good rule of thumb not to buy any after-market electronic products for your car before doing some serious research. For more information on how to protect your business from disaster, as well as how to respond when one occurs, check out the TOSS C3 website and call us anytime at 1-888-884-8677!